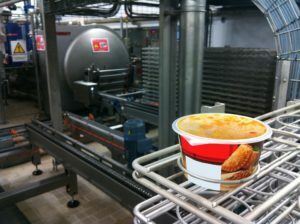 Surdry is a company exclusively dedicated to manufacturing retorts for canned foods since its foundation in 1981 and has become a technology leader and supplier of first class high-tech autoclaves or retorts for sterilization of food and beverage products after hermetically sealed in cans, jars, pouches, carton bricks or any type of suitable or “retortable” container. 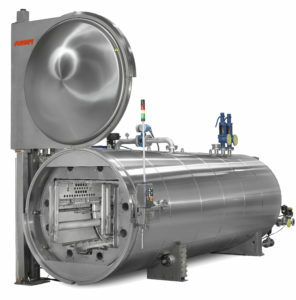 A key milestone in the history of Surdry is the invention of the Steam & Water Spray Retort (SWS), a new industrial retort standard highly reputed for its multiple benefits and versatility. In addition to the batch retorts, Surdry is due to launch soon a continuous sterilizer with a revolutionary concept. 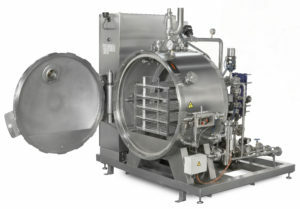 The new Surdry ECB Series Continuous Sterilizer is the most recent innovation and a key milestone in Surdry's history. The system will be soon commercially available and on is way to become a landmark in the world history of food sterilization equipment. 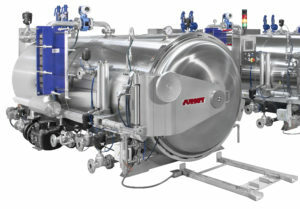 The patent pending design features a completely new concept with respect to the traditional continuous sterilizing systems. 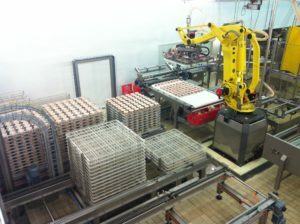 While other systems built for more than 60 years are designed to work with a single type of round can, the new Surdry ECB can be utilized for any type of round or square can, bottle, tray or pouch made of metal, glass or plastic materials. 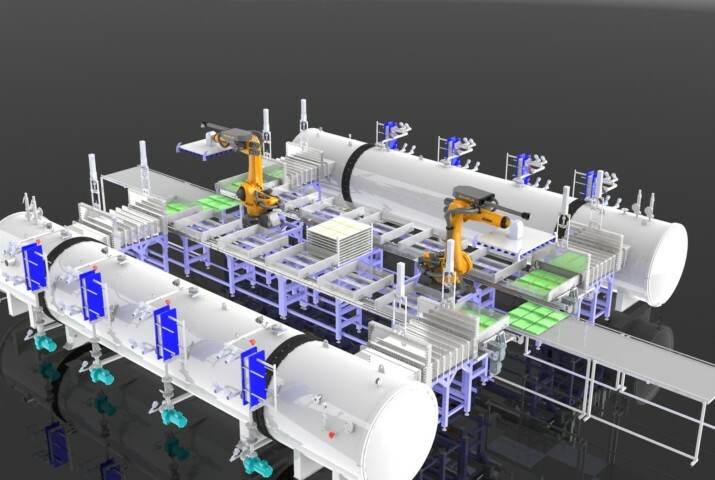 The robotic loading and unloading systems enable very quick change over from one package format to another.